Offer a delicious treat to your fruit loving birds with this Deluxe Blend with Fruit. This seed mixture brings nutrition and flavor to the flickers, wrens, and woodpeckers in your garden. The black oil sunflower seed and milo create a healthy base, and the added fruit pieces and flavoring make a tasty treat. Peanuts help attract birds that dine on nuts, and the added grit aids in digestion. Easily incorporate fruit into the diet of your feathered friends with this Deluxe Blend with Fruit. 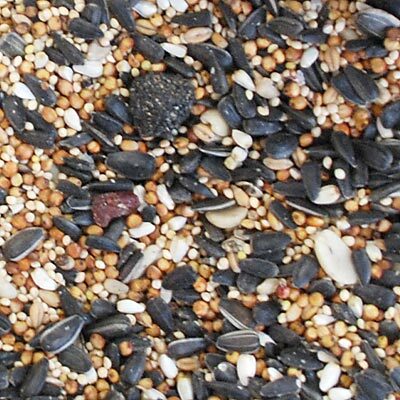 Note: This Wild Bird Seed Mix, Deluxe Blend with Fruit, is packaged in a 5 pound bag.